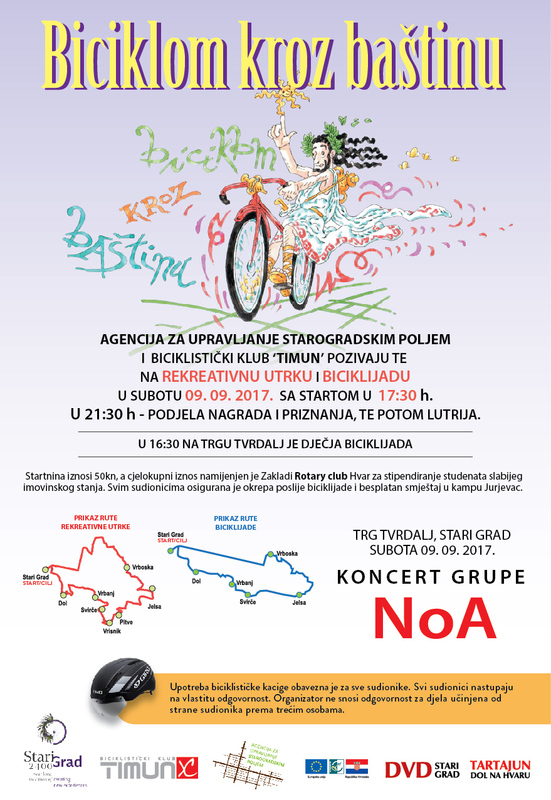 bike race "Cycling through history"
Funds raised by paying the entry fee to participate in the race will be paid to the account of Hvar Rotary Club Foundation and will be aimed at scholarships for students of poor financial situation. All visitors wishing to participate in this humanitarian action can pay the entry fee and get their number without having to participate in the race. Age limit: At least 14 years of age, younger than 14 years of age, may only be attended by parents / guardians. General regulations: The organizer is not liable for acts committed by drivers against third parties. All competitors are required to sign a statement on the liability waiver of the organizer's responsibility. The race is driven regardless of weather conditions. Obligatory use of protective helmet! Information about accommodation: Camping Jurjevac phone number: 021 765 843. Close start begins at Tvrdalj square where accompanied by motorcycles leave Stari Grad along Riva (waterfront) when the referee gives the race start signal. 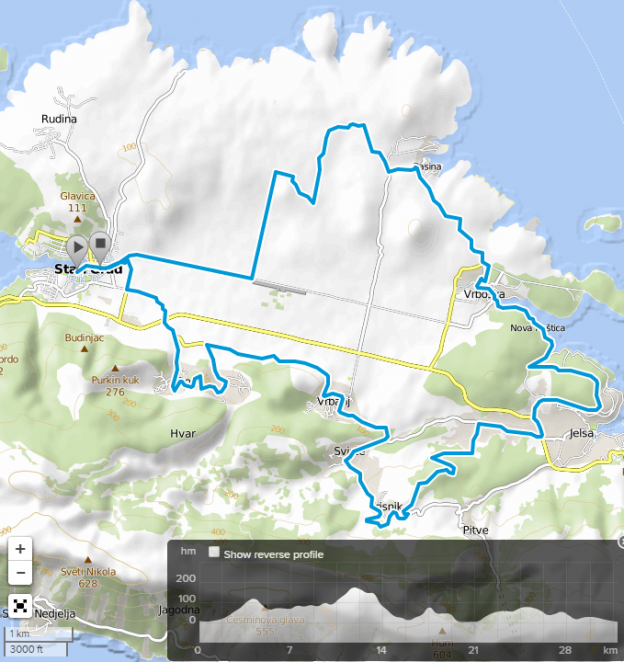 The first 12 km is an asphalt road with a slight rise. Although police and security guards will be at every crossroad, please stick to the traffic rules and drive on the right side of the road, particularly when going through settlements. After the 12 km long asphalted downhill road you will arrive to a sharp bend and then continue on the macadam road (particular caution). On the 13th kilometre of the road there is a 200 metres long technical descend so those not familiar with such driving shall be very careful. On the 15th km you will again drive on the asphalt road for the next 2 km and then again on the macadam road which exits to the asphalted promenade before Vrboska village (20 km). In Vrboska you will drive along the corridor through the waterfront and bridge and please take care of the sharp turn on the bridge. (21 km) Once passed Vrboska, you will re-enter the 9 km long wide macadam road and when you again find yourself on the asphalt it means that you are in the last kilometre of the race and until the very end you will ride on the asphalted road. The path will be marked with arrows and bends. FREE ACCOMMODATION in camp Jurjevac for all those who will camp in tents. Bungalows for 4 persons 200 kn a day. Jadrolinija provides free bicycls transport on 2nd of September from Split to Stari Grad at 11:00 and back on 3rd of September from Stari Grad to Split at 17:30. Children Cycling Tour starts at 5 pm, Recreational Marathon at 5.30 pm and Cycling Tour at 5.45 pm. All participants will get a warm meal after the race. An occasional entertainment program with the music concert will be held.